It's an historic and proud day at May Dreams Gardens, the day I confirm that indeed, I have grown the Worlds' Ugliest Tomato, the "WUT", pronounced "what", as in "what is that?" Earlier this evening, the WUT, a 'German Johnson' variety, hung from the vine, absorbing the last rays of sun on a glorious August day. 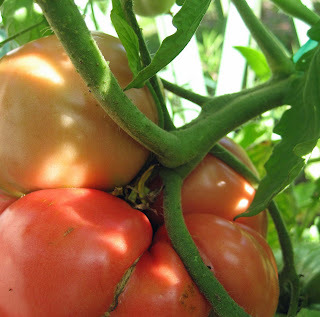 Even as the ugliest tomato, it has a certain beauty to it, hiding beneath the leaves. The WUT is no ordinary tomato, clearly. Look how it is attached to the vine. It took me a few minutes of study and close scrutiny to determine that to remove the WUT, I would also need to cut off a fair amount of the tomato vine and another green tomato attched to it. 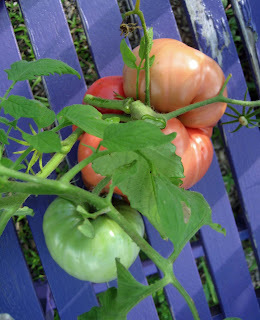 Here's the WUT, showing the vine and attached green tomato. You can also see that the tomato vine is green and free of disease. Once inside, I removed the vine and the green tomato and weighed the WUT. That's 1 lb. 8 oz. of pure tomato, making it also a big WUT! Then the moment of truth... I sliced through the WUT to see what it was like inside. 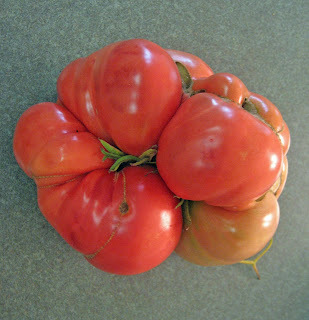 The WUT appears to be compromised of at least four tomatoes that grew together to form the World's Ugliest Tomato. And it tasted pretty good, too. It will long be remembered here at May Dreams Gardens. 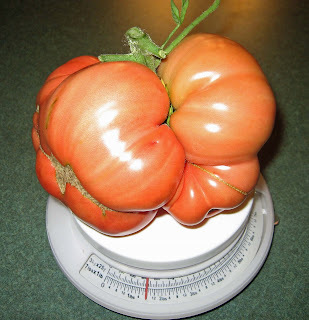 This is the picture I'll use as proof of the WUT, should anyone come forth with a challenger for the World's Ugliest Tomato. Feel free to try, but I think you'd be wasting your time. Yes, I did eat part of it, that's a requirement for it be the WUT, and it tasted good, like a tomato should. You had to video the WUT? I'm a little nauseous. I won't write what the Red Dirt Family said about it, but it involved boils and certain anatomy. Between this other-worldly tomato and whatever was buzzing past your ear the other night, I do believe your tomato patch has been visited by aliens. Did it emit a noise? Did it vibrate? Did it speak? Something to thinking about. I'm sorry to admit that my mind works along the same lines as the Red Dirt Family. The video was an amazing piece of cinema, a veritable rollercoaster of thrills and unforgettable action. I laughed, I cried; it moved me. Feel free to use these quotes to promote your tomato film. This is too much. I can't compete. I'm going to hang up my tomato stakes, maybe try again next year. Sigh. Yep - the viewers have spoken, Carol - you showed off the tomato so well I need dramamine. I agree...that's some tomato/tomatoes! Worthy of ugliest tomatohood. 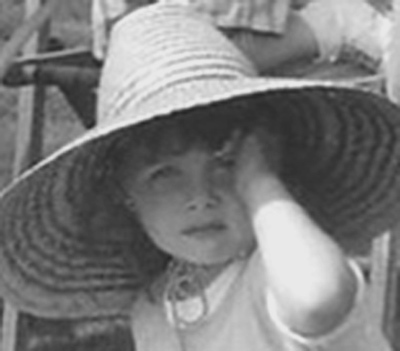 The blog ante has been upped...but now we need dialogue! That is truly a garden freak. You should have it genetically tested. Well, it isn't pretty, I admit that, but still it's a tomatoe! or, perhaps four... Nature works in mysterious ways, sometimes! WOW, that makes all my tomatoes look like supermodels. You might win the WUT contest but MMD wins the world's funniest comment. So it wasn't one tomato but a Siamese twin (or quintuplet?) of a tomato. Do you live near a nuclear power plant? I don't think I could have eaten that....It looks too mutated! You are very brave, very brave. oh, dear. your video should have started with the "not intended for young or sensitive viewers" caution. I would hazard a guess that this has something to do with genetically modified tomatoes-gone wrong. Wow, I've never seen one like that! So interesting! Kind of intertwines in on itself, doesn't it? Wow, that IS an ugly tomato. Mine are all so cute compared, lol. I'm glad it tasted good, and I really loved this post! I knew where to come when I picked my first tomato. The same day as yours mind you. I just didn't post about it. Now this is the competition before me. Fine then. You want ugly. Just wait till it ripens. Wanna take me on for the world's smallest edible cantaloupe? You win! And thank you for making my tomatoes look beauty-contest worthy. I guess all that matters is that it tasted good. That IS why we grow them, isn't it? 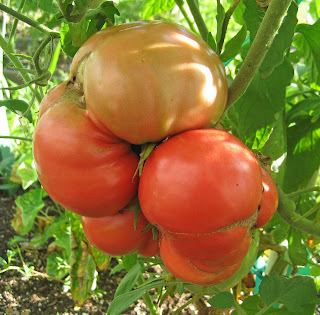 This is no doubt the Ugliest Tomato I have seen in all my 61 years! You will have no problem winning the first prize for this one. All, thanks for valdiating that my WUT really is the World's Ugliest tomato. It really is! Thanks for posting this follow-up, Carol. When I read your first post, I thought, "That's not so ugly, really." I thought you were talking about the partially ripened part of it and I thought THAT was the tomato, not the whole thing!! That is gosh darn ugly, that's for sure. 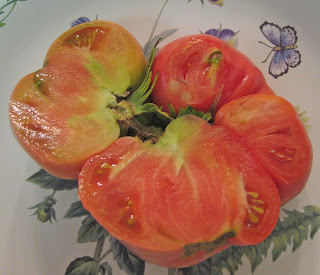 My Brandywines look like that on the vine, except that they're individual tomatoes. I think so anyway. Maybe I need to go check them. Maybe I have one of those aliens, too. I sure hope not! That is one tremendous tomato. My tomato plants are blushing at its ugliness. We won't even try to compare! Fess up, Carol, that video clip is actually footage from ATTACK OF THE KILLER TOMATOES, isn't it? I hope you double lock your doors at night. Maybe a chair under the back door, just to be sure.